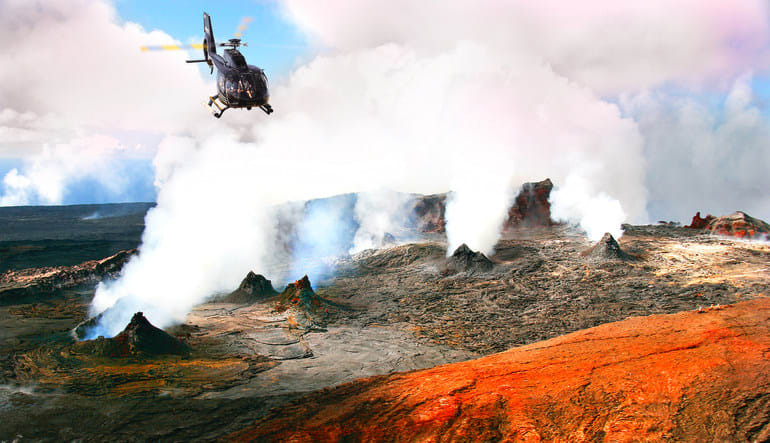 Kilauea, the island’s most active volcano serves as this sky-high excursion’s centerpiece. The views can’t be beat. With camera in hand, you’ll capture its flowing lava from real close. 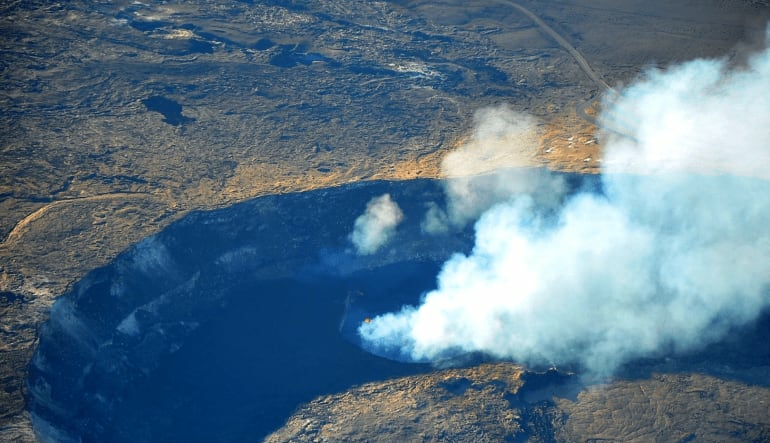 The landscape’s natural pyrotechnics make this Big Island helicopter tour a standout! Kilauea, the island’s most active volcano, serves as this sky-high excursion’s centerpiece. The views can’t be beat. With camera in hand, you’ll capture its flowing lava from real close. But there’s more…this trip doesn’t end there—your nearly two-hour adventure covers the entire island! Take off in a spacious, wide-windowed WhisperStar helicopter. 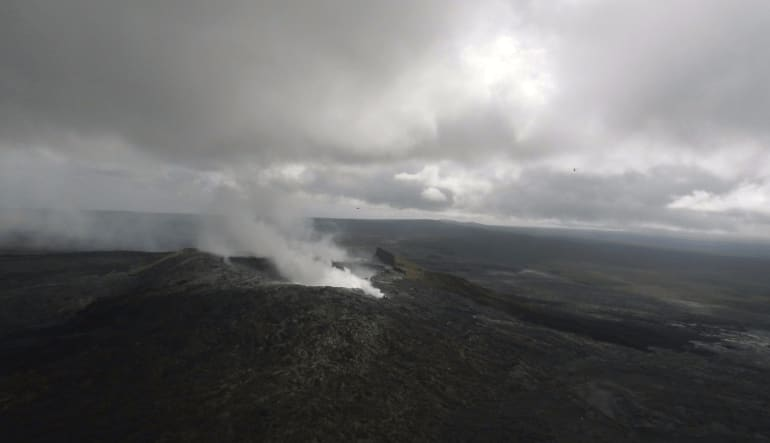 Get an unforgettable 1hr 45min tour of Big Island. 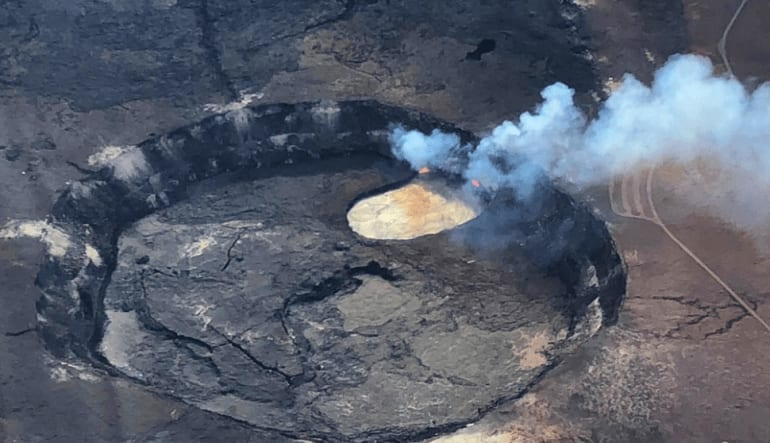 Fly over Kilauea’s fiery lava and feel the heat radiate into the cabin! Travel 11 of our planet’s 13 climate zones all on one island! Feel the mist of countless waterfalls. 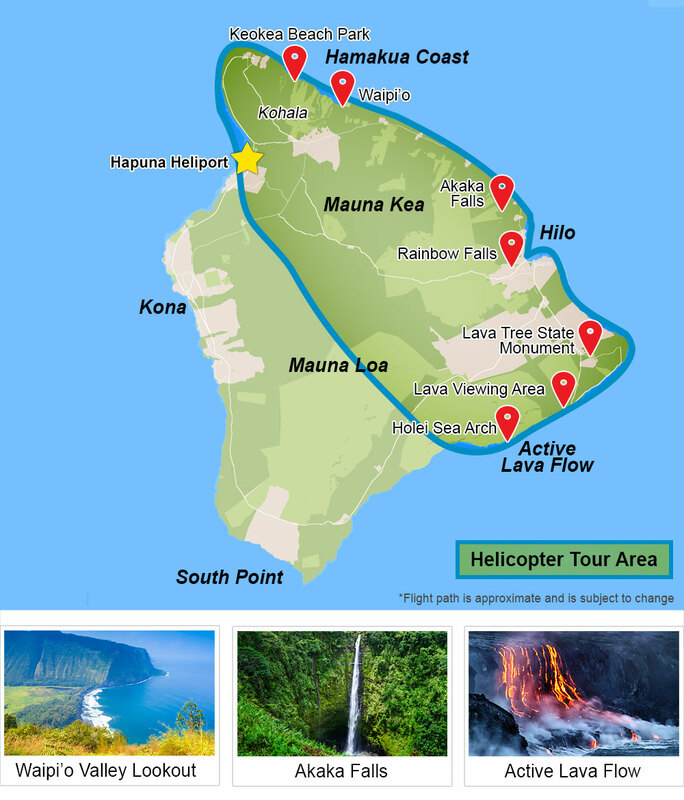 Explore the rainforests of the Hamakua Coast! 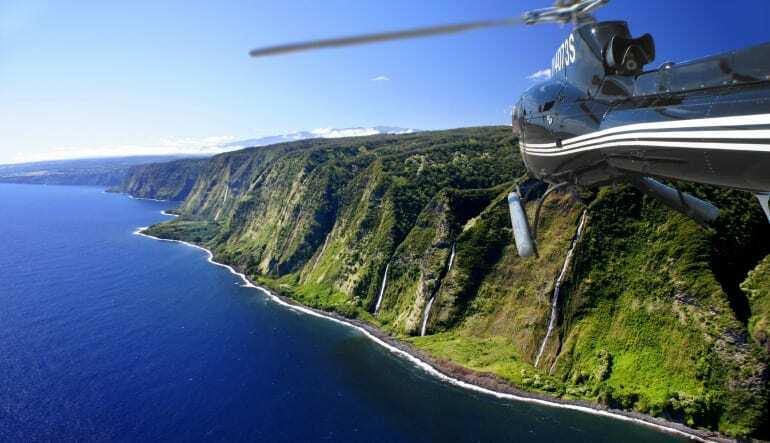 Fly in a WhisperStar helicopter, Hawaii’s numero uno choice for aerial photo excursions. Big space and bigger sights give this helicopter flight an edge. Clear skies, the Pacific’s striking shades of blue, spewing lava and forests greener than you thought possible - this afternoon of discovery is one of the best excursions in all of Hawaii! The English language does not have the words sufficient to describe the adventure, enjoyment and pleasure that this excursion provided. Our pilot, Beau, made the trip for us. He is an excellent pilot, commentator, tour guide. We'll ask for him next time we come through( if he is still with you). Erma & I will bring our family next time.